Preheat oven to 375°F. 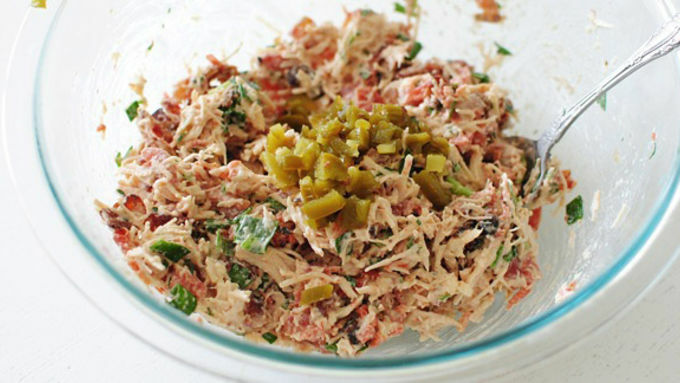 In a large bowl, combine the chicken, mayonnaise, mustard, scallions, parsley, garlic, tomatoes, jalapeno peppers and chopped bacon. Stir until combined. 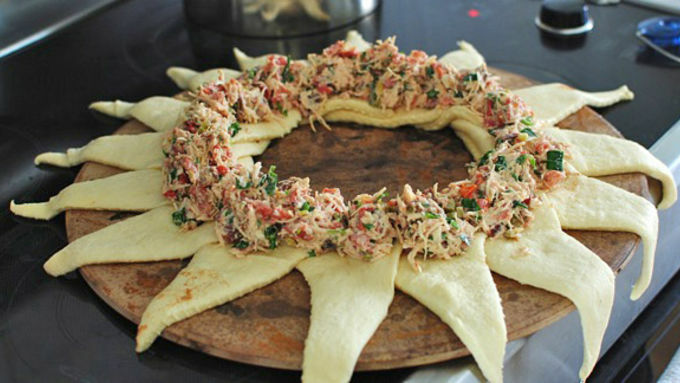 Unroll the crescent dough and separate the triangles from each other. On a large round baking stone, arrange the triangles in a way where the thicker ends are overlapping each other, and the thin points are extending away from the center of the circle. 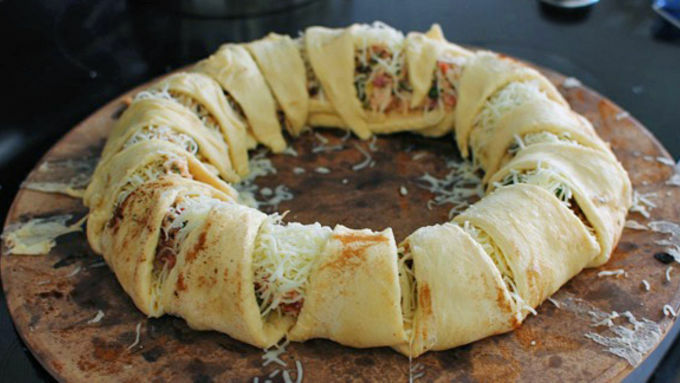 Place the chicken mixture on the thick center ring, followed by a good sprinkling of shredded mozzarella cheese. Roll the dough tips over the mix. Bake for 20 to 25 minutes, or until golden brown and the cheese has melted and is beginning to bubble. Garnish with parsley and serve immediately. 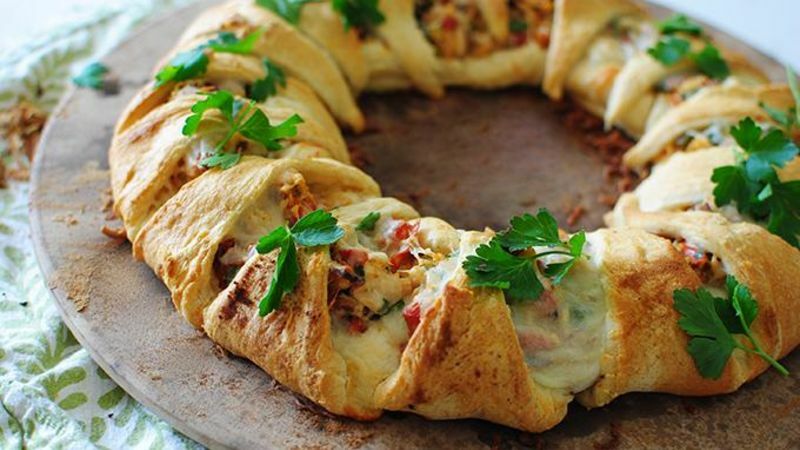 Don't you just want to hang this food wreath on your face? You know you do. 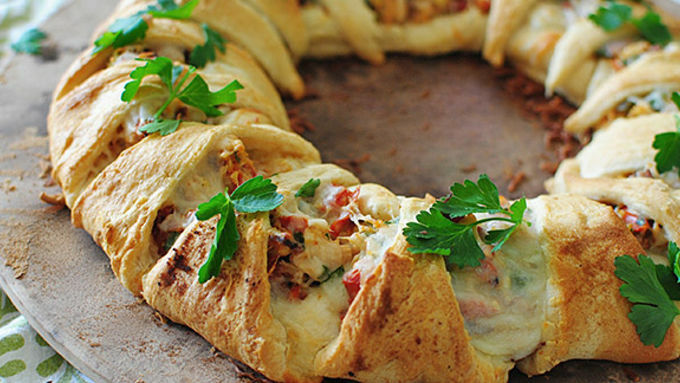 There's just not much greater in this world than a food wreath. Ring, wreath, hula hoop, whatever. It's made of food and you can pretty much wear it around your neck. You put it over your head, get it all good and snuggled around your shoulders, and spend the next three hours eating your way out of it. This is of course if you have no human friends and plan on being alone for the rest of your life. Sounds good to me. So easy to make, you're going to love eating this ring that tastes like a club sandwich, but looks way more impressive.